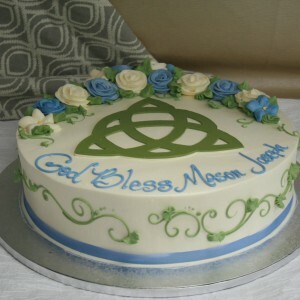 This cake includes vanilla buttercream frosting with green buttercream scrolling (ivy design work) on the cake side. Customers choice pastel buttercream flowers on top, with coordinating ribbon border. 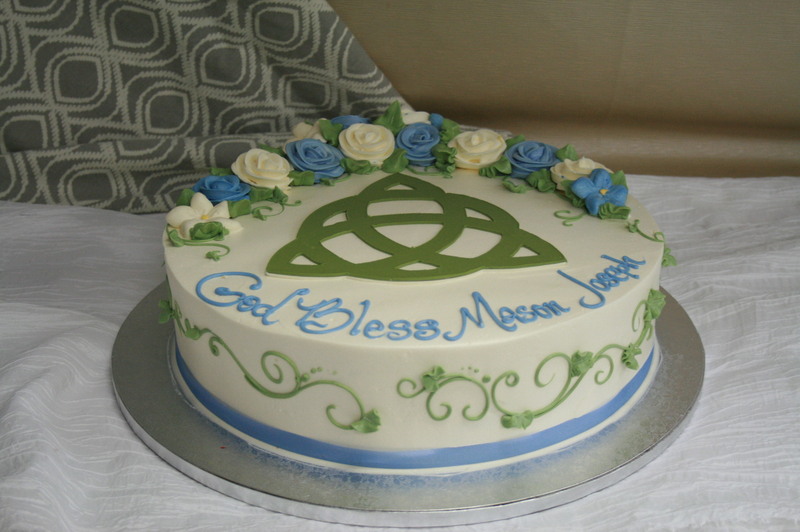 The Celtic knot on top is made from rolled chocolate & can be made in customers choice color.